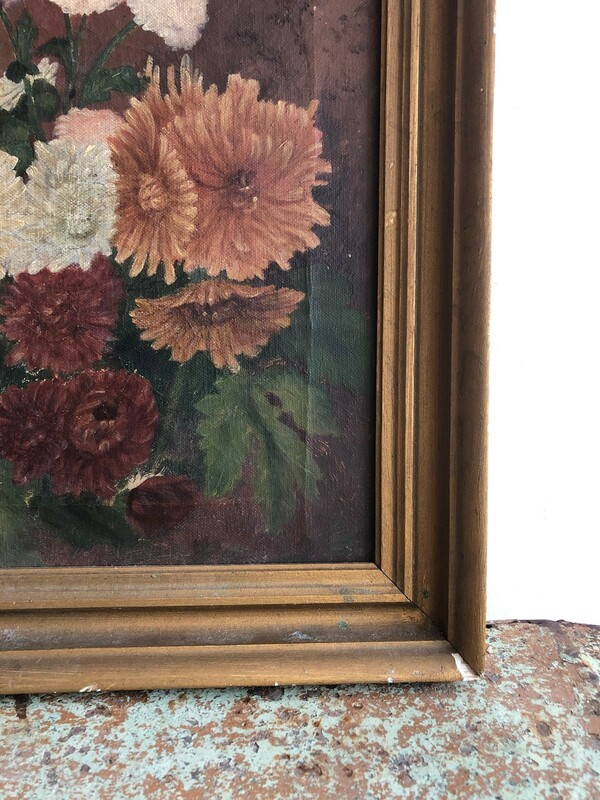 19th Century Framed Floral Oil On Canvas. Signed on rear by D Beech 1888. 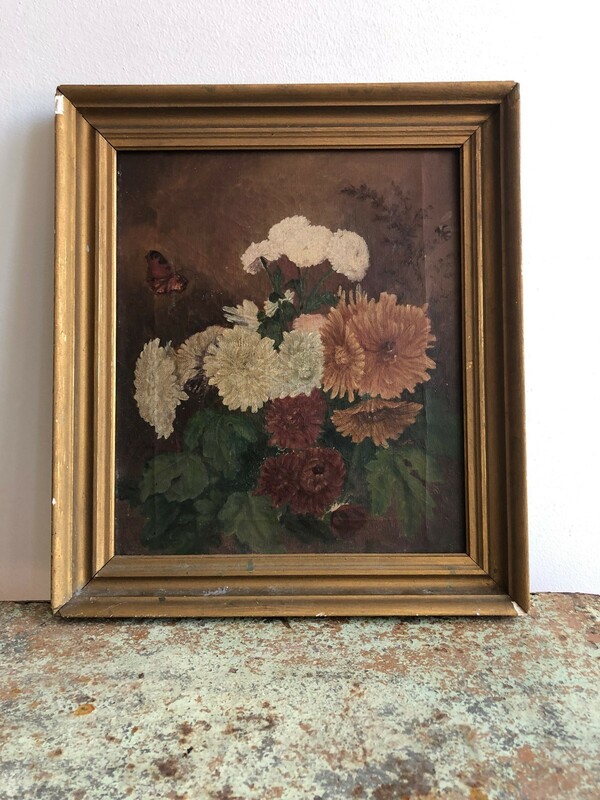 Vintage On The Vine is an antiques and decorative interiors business run by couple, Jim and Honor and is based on Northbrook Springs Vineyard in Bishops Waltham, near Winchester, Hampshire. Our business stems from a shared love of well-crafted items from times gone by. While our taste has grown and changed over the years, we remain captivated by furniture that's been loved in a previous life and this is what drives us on to constantly seek them out! We were able to first get started back in 2015 when a dear family member lent us their garden shed to work out of. Thankfully not long after we were able to set up home in the barns on the vineyard that gave us our name, leading us to become Vintage On The Vine! 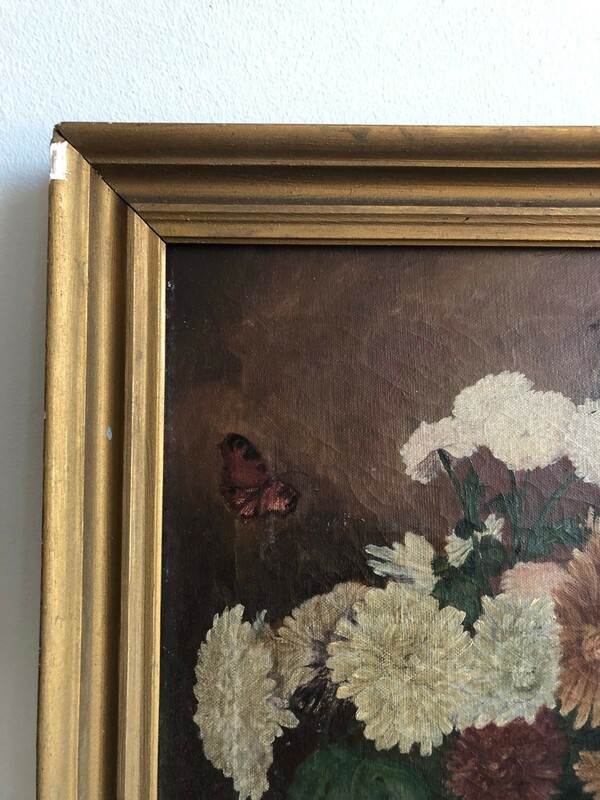 We continue to buy and sell unique items and provide a bespoke service to the clients we work with, please take a look and see for yourself, we'd love to help your house become a unique home! We offer worldwide shipping, just let us know where you would like an item to go and we will provide a quote.